Can Dogs Eat Jelly Beans? Jelly beans are popular candies, especially around Easter. They are very sweet, and that’s probably why we love them so much. If you are having some jelly beans, then you might be tempted to share them with your dog. But can dogs eat jelly beans? The quick answer would be no, jelly beans are not a safe treat for dogs, and that’s why you should never give your dog these candies. If you look at the list of ingredients on a jelly bean package, then you’ll find that the main ingredient is sugar. 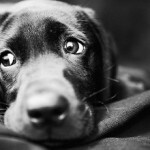 Dogs, though, cannot eat sugary treats. In the short term, eating a good amount of sugary treats can upset your dog’s stomach, but in the long term, it can cause dental cavities, diabetes and overweight. It’s a holiday, so you are tempted to give your dog a sweet treat, but don’t, jelly beans are not good for dogs. Maybe give your dog an apple slice instead? 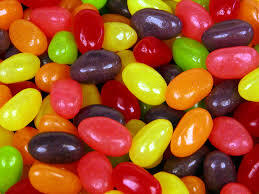 Jelly beans also contain pectin, which is actually used to treat diarrhea in dogs. 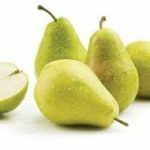 However, in large amounts, pectin can cause constipation in dogs. The worse part about jelly beans for dogs is that these sugary candies can sometimes contain caffeine, which, as I’m sure any responsible dog parent knows, is severely toxic to dogs. Additionally, jelly beans usually contain artificial food colorings, which are not good for anybody. Holidays can be tough for pets. We usually have more food around during the holidays and because we are in a happy state of mind, we are more likely to toss table scraps to the family dog or other pets. A lot of the things we eat, though, are not okay for dogs to eat and can cause digestive distress and more serious problems. It’s always best to check whether something is safe for your dog before feeding. If your dog has already had a few jelly beans, then don’t be too worried. 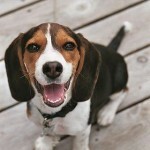 A small amount of jelly beans is not likely to cause any serious problems for your dog. However, if your dog had more than a few, it would be for the best to contact a veterinarian, especially if the jelly beans contained caffeine. 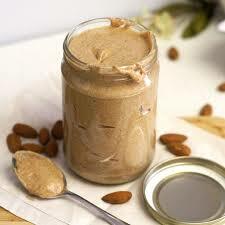 Can Dogs Eat Almond Butter? Can Dogs Eat Oatmeal? What About Oatmeal Cookies? About Doggies Copyright © 2019.